Dhearbh Ministear nan Eilean gun tèid Bile nan Eilean a chur air adhart sa bhliadhna a tha romhainn. Thàinig an naidheachd bho Humza Yousaf is e a' tadhal air na h-Eileanan an Iar Dimàirt. Thuirt Mgr Yousaf gun robh e na thlachd dha innse gun tig bile air adhart is nas lugha na bliadhna ann bho thòisich co-chomhairle air a' phlana. "Tha iarrtasan is feumalachdan nan coimhearsnachdan eileanach aig cridhe ar planaichean", thuirt Mgr Yousaf. "Bheir am bile seo buannachdan dha na coimhearsnachdan sin 'son nan ginealaichean ri thighinn. "Tha mi den bheachd gu bheil seo a' sealltainn ar taic dha coimhearsnachdan eileanach is tha fadachd orm a bhith ag obair còmhla ris na coimhearsnachdan agus an riochdairean gus seo a thoirt gu buil sa bhliadhna a tha romhainn", thuirt e.
Gheall Alex Salmond ann an 2013 gun tigeadh barrachd chumhachdan do na h-Eileanan Siar, Arcaibh agus Sealtainn. 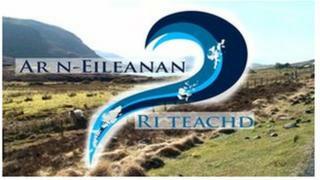 Thàinig sin às dèidh iomairt 'Ar n-Eileanan Ri Teachd' bho na trì comhairlean eileanach - Comhairle nan Eilean Siar, Comhairle Arcaibh is Comhairle Shealtainn - is iad ag iarraidh chumhachdan a bharrachd. Tha cuid air iarraidh bhon uairsin gun tèid na planaichean a leudachadh gus sgìrean iomallach na Gàidhealtachd a thoirt a-steach.